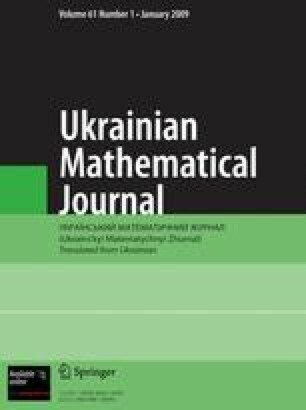 A survey of works of the authors and their disciples devoted to the investigation of problems with nonlocal conditions with respect to a selected variable in cylindrical domains is presented. These problems are considered for linear equations and systems of partial differential equations that, in general, are ill posed in the Hadamard sense and whose solvability in certain scales of functional spaces is established for almost all (with respect to Lebesgue measure) vectors composed of the coefficients of the problem and the parameters of the domain. Translated from Ukrains’kyi Matematychnyi Zhurnal, Vol. 58, No. 12, pp. 1624–1650, December, 2006.